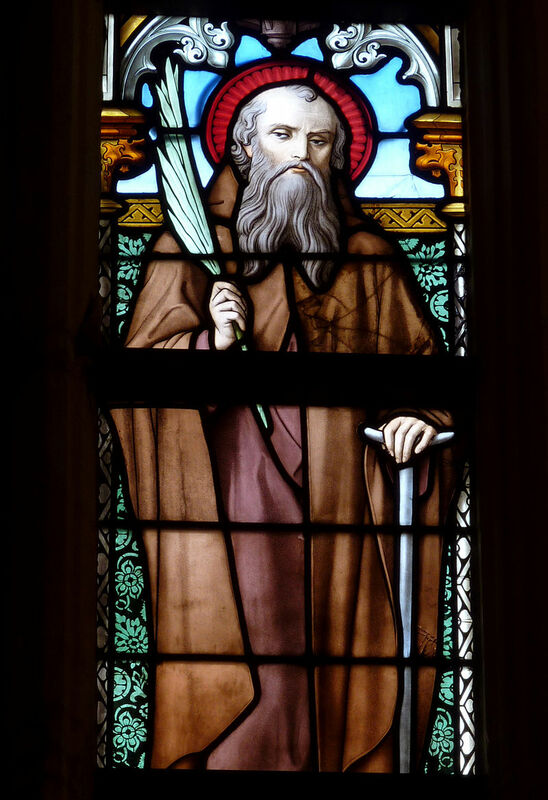 Saint Helier was born to pagan parents in Tongeren (now in Belgium). His father was Sigebert, a nobleman from Tongres and his mother was Lusigard. 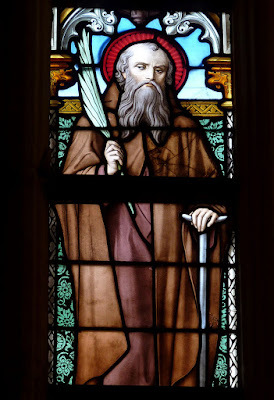 Having had difficulties conceiving a child, they had turned to Saint Cunibert who had advised them to pray to God and that when they had a child they must hand him over to God, and that he, Cunebert, would bring him up in the Christian faith. Their prayers having been answered, Helier was born, but Helier’s father, the Saxon Governor of that place, eventually grew angry at the influence Cunibert exerted over his precocious son, who was already causing consternation with his youthful miracles. Helier’s father had Cunibert killed, whereupon Helier fled. Helier, however, found the monastic community did not provide the quiet he required to devote himself fully to a life of contemplation. Marculf had received pleas from the few inhabitants of the island called Gersut, or Agna, now called Jersey, which was all but depopulated due to repeated attacks by Vikings (or Saxons, or Vandals, depending on source). The inhabitants requested someone to help them, and bring the gospel to them as they had no shepherd to guide them. From his vantage point on his rock, Helier could see the sails of approaching attackers and would signal to the shore, whereupon the inhabitants would scatter into the surrounding marshes, thereby frustrating the attackers’ bloodlust. Small dark clouds on the horizon are still known in "Jèrriais as les vailes dé St. Hélyi" (the sails of St. Helier). According to the hagiography, Romard discovered Helier’s body on the beach still clutching his head in his hands, placed it in a boat and set off for the mainland. The boat, guided by the hand of God, arrived at Bréville-sur-mer (Manche) where a reputedly miraculous healing spring arose on the spot where Helier’s body rested overnight. A church was founded next to the spring, which is now topped by a statue and still attracts those seeking a cure. 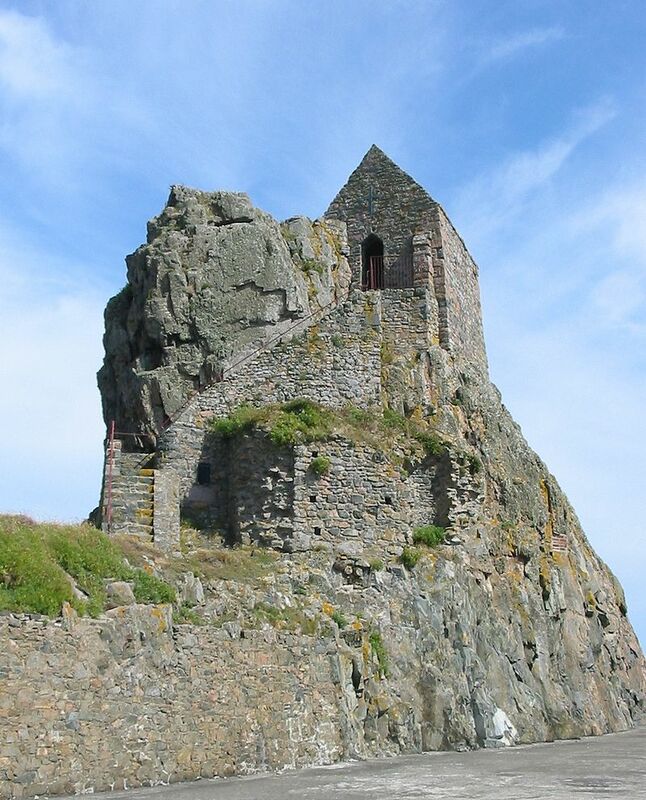 Helier’s relics were sent to the abbey of Beaubec (situated in Beaubec-la-Rosière (Seine-Maritime)) where they remained until the destruction of the abbey during the French Revolution.